I’m not that occupied with fashion but I have two frustrations buying garments in Western Europe; style and the price. 2) Price: Coming from China, where tailored-coats costs under $100, in Europe the fashion industry’s pricing seems just silly. With above’s frustration, I thought I would try to place a small order on Korea’s ebay and see what happen. I was stunned by the result! 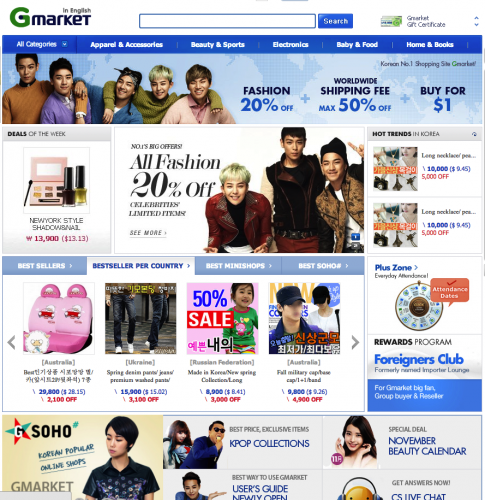 gMarket offers an English translated website. You can browse garments, shoes, accessories inspired by Korean drama’s or by category. Pants, cardigan, blazer and turtleneck all for just $60 dollar. Yep wearing them all at the same time. Purchasing from different shops, gMarket collected, packed and shipped it to me rather quick. I live roughly 9000km/5000 miles from Korea, placed the order and received it 14 days later. 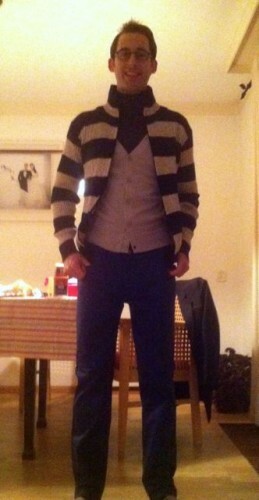 The quality of stitching and fabric are ok: The pants, cardigan, blazer and turtleneck seem in order. I’m very happy with my order since total costs were $60 dollar. Shipping based on weight was an additional $30. The only thing is that returning could be a hassle – I got lucky with picking all the sizes correct, but I wouldn’t know where to send it to or how to complain. Another thing is that a non-Korean speaker could have trouble with the colours, which are written in Korean – nothing a dictionary can’t solve though. For now I won’t have to deal with the shopping streets in Holland. I can’t wait till the day that taobao will start shipping abroad! For now, check out gMarket!